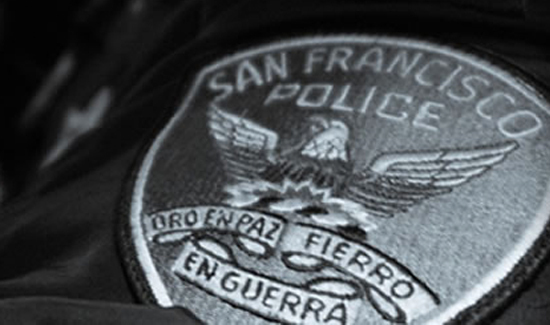 The San Francisco Police Officers Association has produced a remarkable set of videos highlighting the work and bravery of their officers. Marty Halloran, the president of the San Francisco POA, says it best. The POA hired the public relations firm Paul Kinney Productions, based in Sacramento, to do the job. Halloran explains that each spot cost between $3,500 to $5,000, depending on the complexity of the story and how many locations were required for the shoot. The biggest expense was airing the videos. To date, the POA has spent between $60,000 and $75,000 per video to air them on local and cable television. There was another outcome as well. Members of the San Francisco POA, who footed the bill for this extraordinary effort to educate the community, were thrilled with the outcome and grateful to see such positive stories about their work airing on cable and network television. “Lifesaver” — On July 4, Officer Matt Lobre runs into a building engulfed in flames and pulls out a badly burned woman who was close to death. Once he got the woman outside, EMTs took over and Matt collapsed from smoke inhalation. Both he and the woman recovered and he was back at work a few days later. “Saved Baby Nash” — While on routine patrol, Matt Cloud and his partner got a call for an abandoned baby. Matt held the infant and administered CPR while his partner rushed to the hospital. He carried the baby right into the emergency room. The hospital called later to say the baby would live and he had probably saved its life. “Unstoppable” — When San Francisco Police Officer Eric Batchelder lost his leg in a motorcycle accident, no one thought he could return to work. But return he did. Today, Detective Batchelder is one of the agency’s most distinguished detectives, making arrest after arrest and compiling a terrific conviction rate in court. He is the only person in the history of the Department to lose a leg and go back working the streets of the City of San Francisco. You can view all the videos in the series at www.sfcitycops.com. VIDEO: All Hail the Chief! I think most Americans would prefer to believe that most police officers of all agencies are honest and courageous. We have no reason to believe otherwise, but when the SFPOA feels it’s necessary to do PR puff pieces on their members, that suggests a level of defensiveness that may be unprecedented. IMO the reason the SFPD and others are taking so much heat these days, is because the advent of smart phone technology has multiplied the video cameras in public spaces dramatically increasing the probability that when something goes terribly wrong on the job with police behavior, private evidence may become a public source of embarrassment. IMO the SFPD and SFPOA have failed to lead by not becoming the first in the nation to deploy video cams on all their vehicles and officers. The true judge of character is how you behave when you think no one’s watching. Our problem is too often the only person watching is another sworn officer who refuses to step in stop the abuse, or at worst formally report the illegal or out of authority actions of other officers. Clearly an officer’s concern for their own safety and desire to not be ostracized by those they work with is a powerful coercive force for the bad. If there were no problem officers, there would be no Internal Affairs investigators. However you see this world, it’s one where we need our police, we want them to be safe and respected, and in order for that to happen, it requires they earn it every day. We can not allow our frustrations to rule us. If the DA is not indicting, police can not stop arresting, or worse decide to be executioners. Add up all the great stories of police successes in saving lives, and people will think – well, that’s what we expect the to do. Then add up all the cases of brutality, excessive use of force, and flat out firing squad behavior, and any reasonable person will conclude that you can’t honestly expect people to call it a wash. Particularly if you are Black in America. You don’t feel any less dead because the cop that shot you was also Black. If our SFPD officers are honest and courageous, then they can figure out better ways to do their job without brutalizing and executing people. If ever shooting is going to be justified by an officer claiming “I felt my life was in imminent danger.” then you cannot make a reasonable claim that your officers are courageous when they are admitting and claiming to be scared in each case where they use deadly force in excessive amounts to subdue suspects they could otherwise capture. time – when alone and exposed during traffic stops etc., officers do not use their bull horn/car speaker to order the vehicle occupants out of the car hands in clear sight. Walking up to a car before running wants and warrants, and getting shot dead just doesn’t need to happen. We want our police to go home safe each night, and we want even our crazy relatives to also go somewhere safe instead of a cemetery.